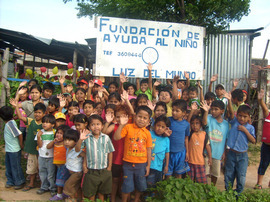 Luz del Mundo is a home/child minding centre in Santa Cruz, Bolivia, run by Gabriela Rojas Llave. 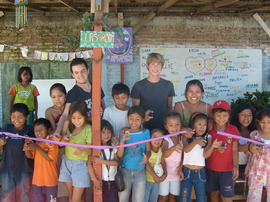 Local children attend and are offered English classes as well as other extra curricular activities such as theatre, music and cultural studies. 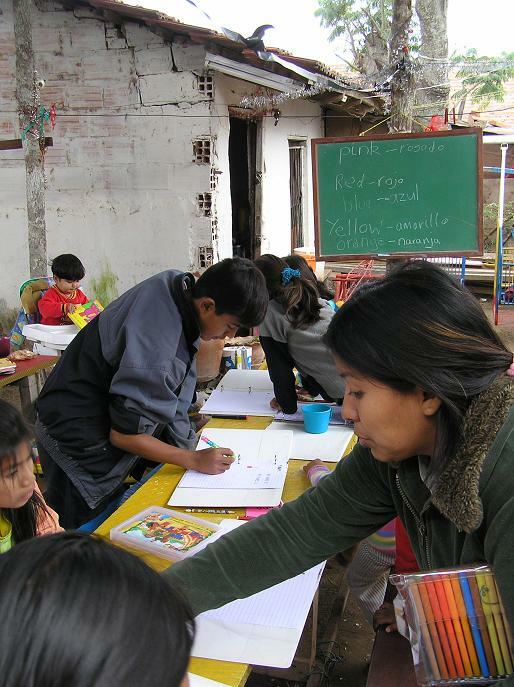 There is no cultural centre in Santa Cruz and the aim of these classes is to provide the children with a rich knowledge of their culture and enable them to demonstrate what they learn to others through performance. Gabriela, the director provides them with lunch and all of their learning materials, birthday and Christmas parties/presents, haircuts as well as encouragement and the loving support that they need. 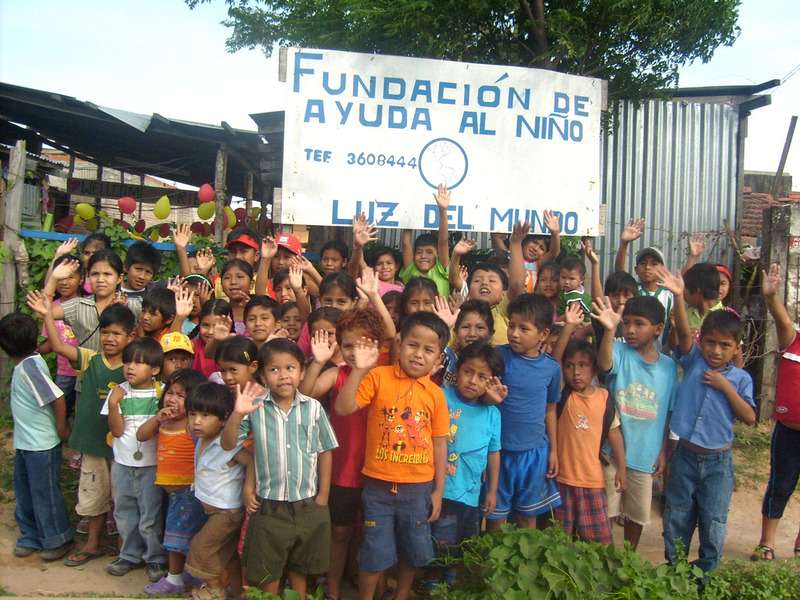 What kind of children attend Luz del Mundo? 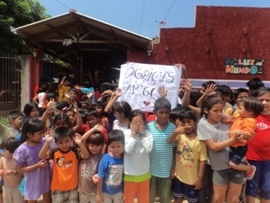 Children of single parents living in absolute basic living conditions who are in real need of an escape from their ordinary lives in order to broaden their horizons and hopefully prevent the fall into the delinquency and ignorance that unfortunately becomes the reality for a lot of the ones who are brought up in these poor areas. My name is Gabriela Rojas Llave, I'm the daughter of a single mother and thanks to god, my mother taught me to cultivate love towards others. After I finished my secondary school, I took a course that would enable me to work and create a beneficiary foundation for the children in my neighbourhood. I had previously worked in a home for poor children where I was witness to things and situations that would change my life and way of thinking forever. I realized that until then I didn't know what the importance of life was and since then I realize how wonderful a gift it is to be able to give and help people. I am myself a young mother of two daughters and have a loving husband; I adore my family and it's tough as we only get to spend a few hours in the week together since my husband works 7 days a week. * I want other poor areas of the city to be able to see and implement similar learning activities and opportunities to their children and together change the minds of our future in a positive way. * I want to achieve my dream and vision in our own institution and build a more comfortable dining area, a proper classroom, a library and an area for the babies and smallest children to enable their older siblings to leave them happily whilst they participate in classes. Bolivian culture and dance performances. * To involve other people from the zone to conduct classes in language, arts, computation, and manual work as well as someone to act as a nanny for the youngest children. * To change the image of the poorest neighbourhoods in Santa Cruz and transform them into rich cultural areas where the people strive for a better life. I intend to make it the work of my life to achieve these goals. We now have 91 children aged between 6 months and 15 years at LDM. VOLUNTEERS: This year we had a 3 month period without volunteers and fewer volunteers than in previous years. INFRASTRUCTURE AT LUZ DEL MUNDO: The kids have a video room, but have an old TV, we hope to get a sofa, but for now they sit in 3 chairs and the floor on cushions. CHRISTMAS IN LUZ DEL MUNDO: This Christmas (2013) was wonderful, the best in recent years. 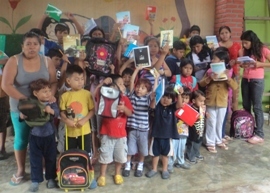 The children had a gift of a pair of shoes for school, a new backpack, a gift and a Christmas dinner with cakes, pies, soft drinks and chocolate. 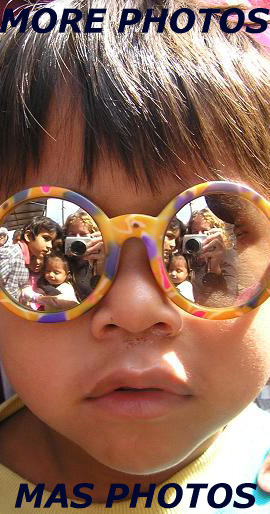 It was fantastic for everyone. We are grateful to many people who made this possible. - We have a bigger fridge to help in preparing meals. MOST IMPORTANT NEEDS: The biggest problem we have is the lack of food to give to the children at lunchtime. 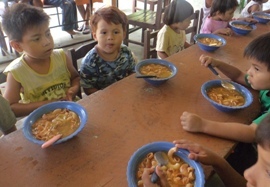 Due to lack of money, we often have had to provide low quality meals with little nutrition. INTERNET: We have recently had an internet connection installed at LDM, but this costs us 200 bolivianos per month which is expensive. FOOD: We spend 200 bolivianos minimum and try to feed 91 children, we don't eat well, we would love to be able to give the children healthier meals. Expenditure per month is 2000 bolivianos. Electricity, water and gas in total is 1000 bolivianos. In the last couple of years the number of children attending LDM had increased significantly and we are now more reliant than ever on external funding. We are very grateful for any such donations to support our work and help in the operation of the Centre. 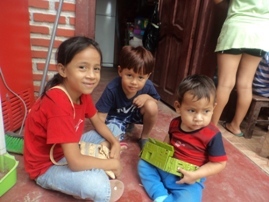 You can donate using most types of funds transfer, if you're not sure which service to use please consider using www.xoom.com, which we have found to be cheap and efficient (you register your debit/credit card in Xoom, and make a transfer to a local bank that Gabriela can collect). and we will send you the address and bank details to transfer to. We need volunteers to help with teaching English and we would also welcome volunteers with a background in music, theatre or any other skills that could help our organisation. The Centre is open 4 days per week, Mon, Wed, Fri & Sat, for 4 hours in the morning only (the children go to school around mid-day). As a volunteer expect to play with the kids, teach English, Computers, help the children with their homework, help in running the centre, etc. Activities initiated by the volunteers are very welcome. It’s not essential that volunteers are qualified teachers, we would prefer native English speakers for teaching English, however a high level of English as a second language would be OK. The level of the kids is very basic and one of the most important things that they learn is pronunciation since in many cases these classes are the only chance they get at hearing English when they don’t have television or stereos in their homes. 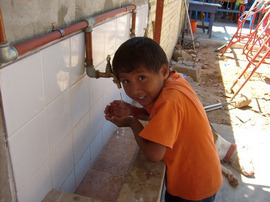 Volunteers should be aware that while working with us they may be the only foreign volunteer on-site. Volunteers need to be independent and capable of organising their own work, unsupervised. The Centre is located in one of the poorest neighbourhoods of the city and you will hear warnings from local people about the dangers of venturing into this part of town. We encourage volunteers to generally dress-down and not draw attention to themselves when working or travelling to the centre. None of our volunteers have had any problems so far and obviously we are keen to keep it that way. 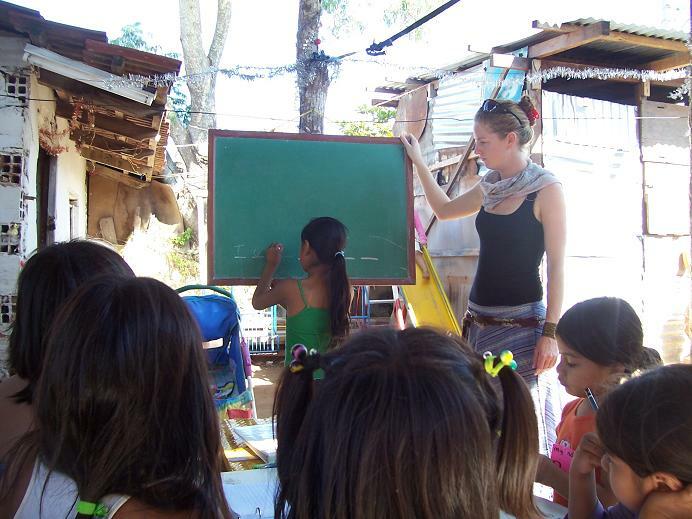 We would prefer volunteers to have basic Spanish speaking skills and we would like you to stay with us for at least 4 weeks, though it's not essential. Volunteer assistance is very much appreciated and there are no fees or participation costs to volunteer with us. However volunteers will need to organise and pay for their own accommodation and support themselves financially while working with us. A ballpark figure for living costs in Santa Cruz is USD$80 per week. 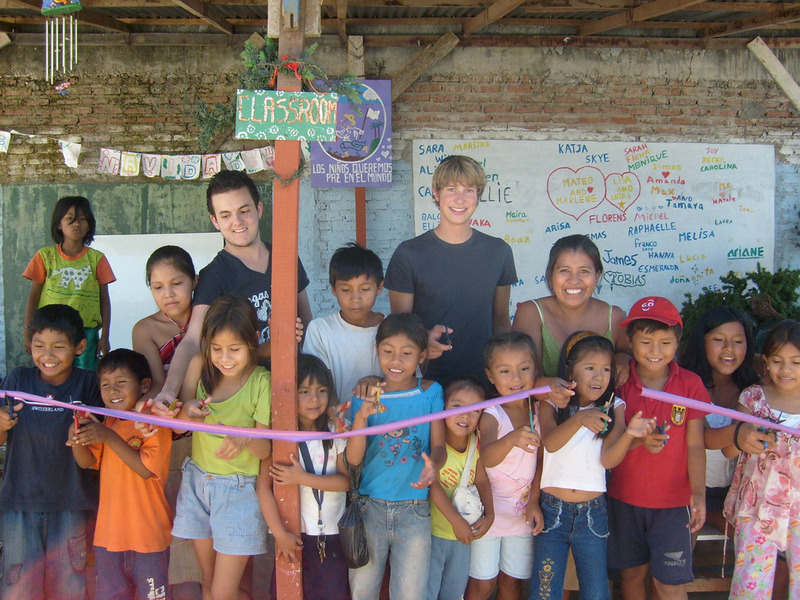 Although we can answer any specific questions you may have, we can only accept volunteer applications from people who are already in Bolivia or those on the road in a neighbouring country. We can accommodate between 1 and 4 (maximum) volunteers at any one time. Luz Del Mundo is a 20 minute bus ride from the centre of town. Opening day - our new Classroom.